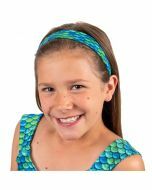 All new swimwear made with comfort in mind!You’ll love the jewel-toned overlapping scales in this tankini top that coordinates perfectly with Zoey’s Aussie Green Mermaid Tail. 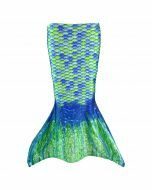 Thanks to the vibrant blues and greens in this design, you’ll fit in perfectly with the underwater sea life! 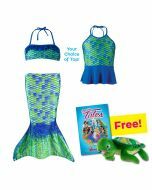 If you’ve dreamed of transforming into a mermaid princess, our Aussie Green Peplum Tankini Top is the perfect way to express your love for the ocean. 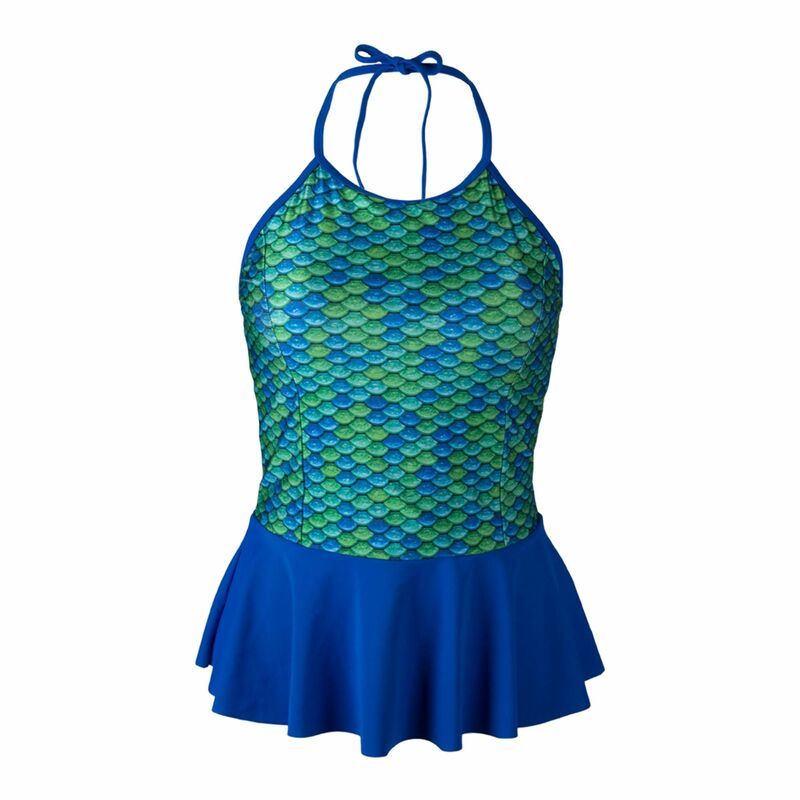 Contrasting royal blue peplum adds a vibrant detail that will have you flipping your fin with excitement! 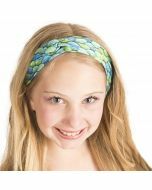 Elastic straps allow you to tie this top comfortably and securely. This peplum top features vertical seams for a flattering fit and a built-in bra top with molded cups supported by elastic. 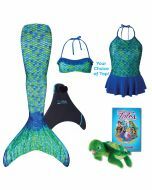 Bottoms sold separately. 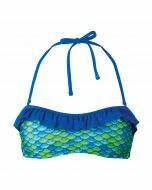 Pair this top with our Aussie Green scale pattern bottom, or solid Royal Blue bikini bottom. 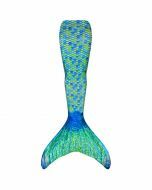 Meet Mermaiden Zoey at www.finfriends.com!